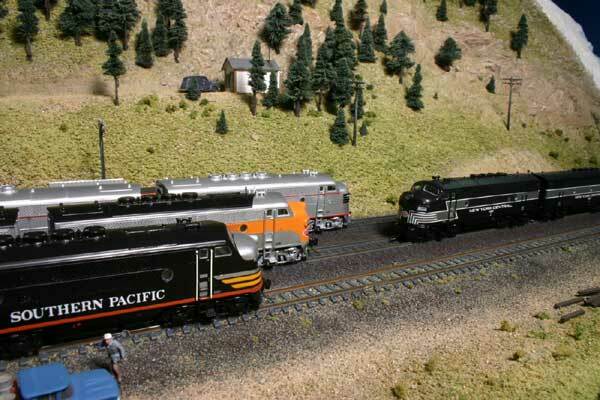 Photos by Marty McGuirk on Mike Danneman's layout. These photos are of pre-production models, some details may vary. Introduced in July 1945, a total of 1,111 F3A units and 696 B units had been built for virtually every major railroad in the US by the time production ended in February, 1949. These locomotives continued to serve in main line and secondary service on railroads across North America into the 1970s. The InterMountain F3s feature road specific details such as: high or low rooftop fans, steam generators, horns, dynamic brakes, cab interiors, and single or dual headlights with �Golden White� LED headlamps to provide the most realistic light possible. Each unit comes completely assembled and decorated in multiple road numbers with each release, making it easy for the modeler to quickly build up his or her roster. 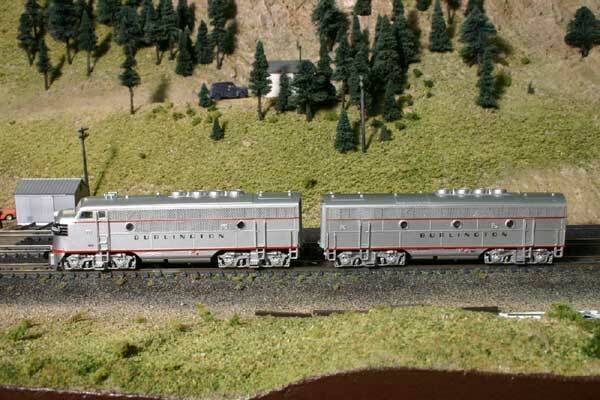 (Note: some railroads didn't paint legible numbers on their B units, in those cases the models are listed as �No Number�. Etched metal “chicken wire” screen for the ultimate in scale appearance. 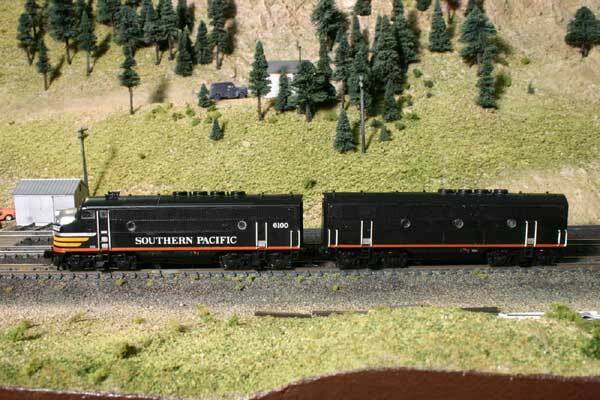 These fine locomotives feature smooth performance, great pulling power, and can easily be converted to Digital Command Control by swapping out the factory light board with decoders from TCS, North Coast Engineering or Digitrax, firms known for their outstanding DCC products. For a Head to Head Comparison of Intermountain's F3's and Kato's F3's done by an end user (a consumer) please click here. Click photo for large view Except for locomotives, we do not guarantee specific IMRC road numbers. We will not duplicate road numbers in your order unless you request it. 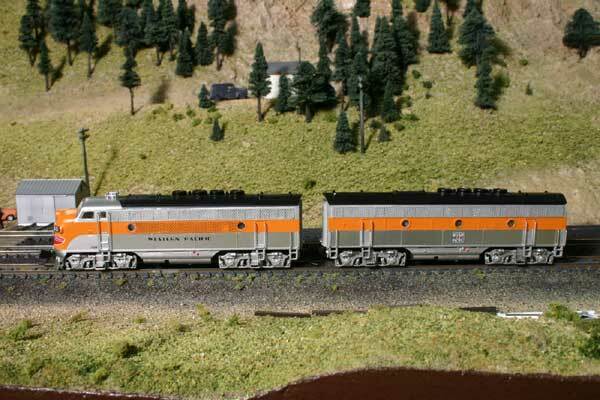 HO Model Shown These F Unit locomotives are decorated for the Chicago & Eastern Illinois in blue with orange stripes down the sides and sills. They feature finely molded details, wire handrails and Micro-Trains® couplers. The smooth, powerful drive is DCC ready. These locomotives have been decorated for the GTW in green with a gold band down the sides. The lettering is in gold while the road number is in black. They feature finely molded details, wire handrails and Micro-Trains® couplers. The smooth, powerful drive is DCC ready. Click photo for large view Decorated for Chicago & North Western, these F Units are painted yellow and green. The C&NW herald is on the car sides in black and red. They feature finely molded details, wire handrails and Micro- Trains® couplers. The smooth, powerful drive is DCC ready. Click photo for large view These F Units are decorated in maroon, yellow, and gray with black roofs for the Erie Lackawanna. They feature finely molded details, wire handrails and Micro-Trains® couplers. The smooth, powerful drive is DCC ready.